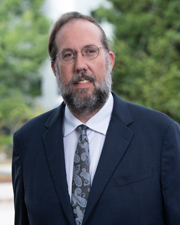 Leslie M. Sammis is a criminal defense attorney at Sammis Law Firm in Tampa, FL. Over the past ten years, the firm has grown to four attorneys, all focused on criminal and DUI defense. As a lifetime member of the Florida Association of Criminal Defense Lawyers (NACDL) and the Hillsborough County Association of Criminal Defense Lawyers (HCACDL), Ms. Sammis enjoys networking with other attorneys fighting similar battles. For more than ten (10) years, Ms. Sammis has been a proud member of the NORML National Legal Committee (NLC) focused on the reform of marijuana laws. During that time, she has attended several of the annual NLC seminars in Aspen and Key West. Ms. Sammis serves as “Co-Chair of the Public Relations and Website Committee” for the Hillsborough Association of Women Lawyers (HAWL). Gaining valuable insight into the criminal justice process, Ms. Sammis completed internships with the State Attorney’s Office prosecuting felony offenses, the United States Attorney’s Office in Tampa assisting federal prosecutors, and a federal judicial internship with the Honorable Henry Lee Adams, Jr., United States District Judge, for the Middle District of Florida, Tampa Division. Ms. Sammis’ passion for trial advocacy led her to the Public Defender’s Office for the Fourth Judicial Circuit of Florida where she gained valuable jury trial experience while representing individuals in misdemeanor, juvenile and felony divisions. After two years as an Assistant Public Defender, Leslie Sammis entered private practice. After entering private practice, she worked for five years as an associate attorney at Head, Thomas, Webb and Willis, a criminal defense law firm in Atlanta, GA. After returning to Tampa, FL, she worked for two years at Escobar, Ramirez & Associates, P.A., where she focused exclusively on criminal defense. In 2008, she founded the Sammis Law Firm. Since high school, Ms. Sammis knew she wanted to be in the courtroom conducting jury trials. From 1989 to 1991, she competed in the National Law Explorer Mock Trial Competition, sponsored by the ABA. Each year, her team won first place during competitions in Honolulu, Denver, and Atlanta. 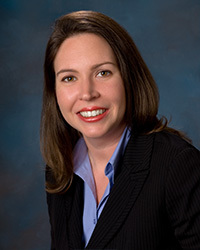 After completing her undergraduate degree at the University of Oklahoma in 1996, Leslie Sammis completed her first year of law school at Stetson University College of Law in St. Petersburg, Florida. While at Stetson University College of Law, she was the only first year student on Stetson’s Trial Team winning second place overall in the 1997 National Association of Trial Lawyers (ATLA) Competition in Denver. For her second and third year of law school, Ms. Sammis transferred to the University of Florida (UF) College of Law in Gainesville, Florida, where she graduated with Honors in 1999. While at the University of Florida, Ms. Sammis competed in several moot court competitions and served on the Executive Board of the UF Justice Campbell Thornal Moot Court Board as the Vice Chair of Public Relations. 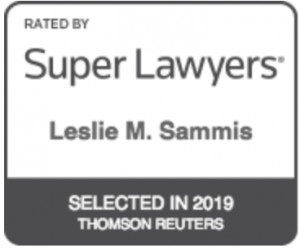 Leslie Sammis was selected for inclusion on the Super Lawyer Magazine’s Rising Star List in 2012 and 2013 for DUI Defense. In 2019, she was selected to the Florida Super Lawyers list for DUI defense.